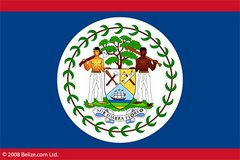 On behalf of President Obama and the people of the United States, I congratulate the people of Belize on 29 years of independence this September 21. As we commemorate this month’s historic events – the Battle of St. George’s Caye and your proclamation of independence – we also join in honoring the rich heritage that has shaped Belize into the country it is today. Your commitment to democracy, security, and prosperity for all Belizeans is an inspiration to people throughout the region, and the foundation for a strong partnership between our nations. The United States and Belize enjoy a vibrant exchange of people that fosters cultural ties, and our collaborative efforts to improve citizen safety through the Central America Regional Security Initiative are enhancing economic and social opportunities for people throughout the region. On this festive occasion, I wish all Belizeans a happy independence day and reaffirm our dedication to strengthening the bonds of friendship between our countries.